“Divorce can be a heavy burden. Don’t let your kids carry it,” says this Danish film designed to promote an interactive app that helps people work together towards an amicable divorce. Developed by creative agency Saatchi & Saatchi Copenhagen and production company Gobsmack, the “What follows the panda” story follows the life of a man who can be seen in various stages of his life, cleverly highlighting how the burden of a divorce can negatively shape the future life of a child from a problematic relationship. About 50% of marriages in Denmark end up in divorce. This then means that the whole family might suffer from anxiety, depression, and social isolation. And when it comes to children, you can add a bad school performance in the already bad mix. Not a pleasant prospect for kids who dream of a happy childhood. But that’s just a scenario that applies to families whose parents don’t really know how to cope with their divorce in a proper way. Fortunately, now there’s an app—which we will focus on during this week’s #ThrowBrandThursday—that gives such divorcees a helping hand. The Teamwork Family app, launched by Richardt Deleuran, comes as a clever solution that these parents can use to overcome the negative emotions that come along with a divorce. The tool uses an advanced calendar system and legal counseling, giving the divorced couples an instrument they can use to (re-)establish a good relationship between themselves. Therefore, the app helps parents experience a safe divorce process, a fairer and more transparent one. 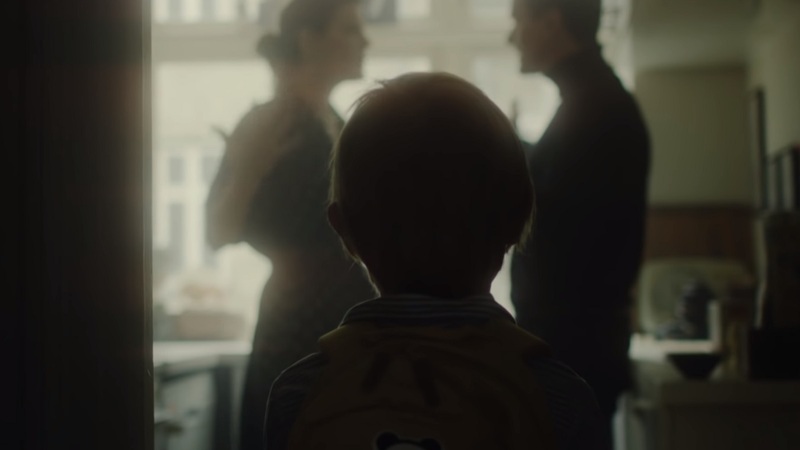 To promote the app the Copenhagen-based agency, together with director Stefan Pflug, created a two-minute-long video, in which we discover the story of a child of divorced parents. We can observe him during four different stages of his life, which are presented in a scenario similar to a popular Hollywood movie, Curious Case of Benjamin Burton. The story starts with the kid contoured as an old man, aging backward. He then is visually described as a middle-aged man, with two failed marriages. Then, we get to meet his adolescent side, one that shows that he doesn’t trust women that much. By the time the short video ends, the main protagonist is again a young boy who comes home from school only to see his parents engaged in an argument. Though the video is quite disturbing, the message is pretty clear: don’t let your kids be negatively affected by your divorce. Download the app and let it help you and your child get through this horrible moment of life more easily.